According the EPA ,Radon is a cancer-causing, radioactive gas. It is a gas that decays into radioactive particles that can get trapped in your lungs when you breathe. As they break down further, these particles release small bursts of energy. This can damage lung tissue and lead to lung cancer over the course of your lifetime. Radon breaks down into a gas from Uranium which is found in almost all soils. The gas is able to travel through the soil and into your home through cracks in the foundation, expansion joints or gaps in the foundation, gaps or voids in the subfloor, contaminated water, and even granite counter tops. 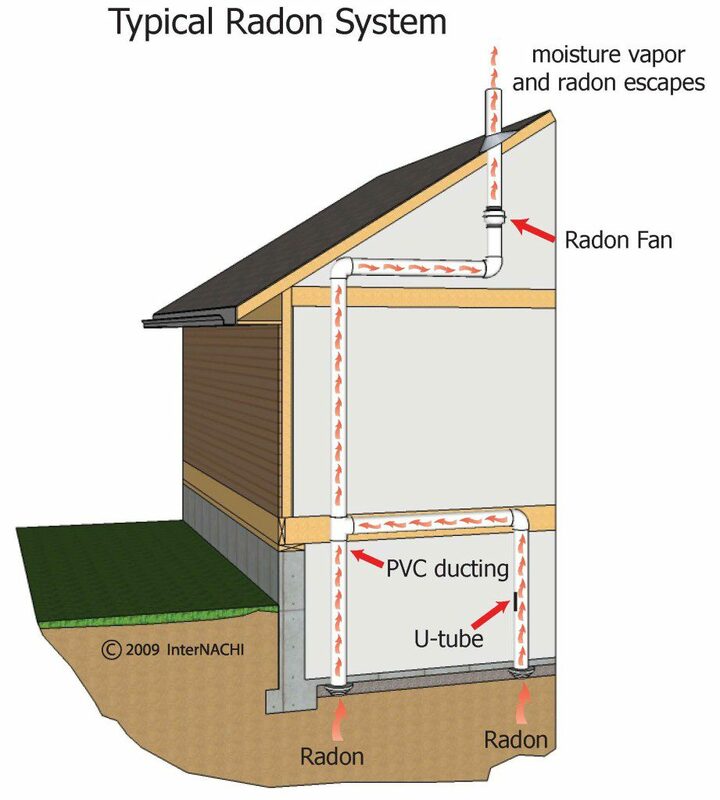 The radon gets trapped in the house and many factors can determine its concentration levels. What is the risk in living with radon? Radon causes 20,000 lung cancer deaths a year. It is the second leading cause of lung cancer in the United States. It is second only to smoking. If you smoke, or are exposed to second hand smoke, and you are exposed to radon, your chances to get lung cancer are significantly increased. The EPA as provided these charts to represent the risks associated with radon exposure. Note: If you are a former smoker, your risk may be lower. * Lifetime risk of lung cancer deaths from EPA Assessment of Risks from Radon in Homes (EPA 402-R-03-003). ** Comparison data calculated using the Centers for Disease Control and Prevention’s 1999-2001 National Center for Injury Prevention and Control Reports. Note: If you are a former smoker, your risk may be higher. * Lifetime risk of lung cancer deaths from EPA Assessment of Risks from Radon in Homes (EPA 402-R-03-003). ** Comparison data calculated using the Centers for Disease Control and Prevention’s 1999-2001 National Center for Injury Prevention and Control Reports. What about radon in Richmond? Here is a chart of average radon test results in and around Richmond. The EPA considers Richmond, Henrico, New Kent, Charles and Prince George as low potential zones but they recommend radon testing regardless of zones. Goochland, Powhatan, Chesterfield, Hopewell and Petersburg are in Zone 3, which is the high potential zone. Average test results in this zone are above 4 pCi/L which should be mitigated for health reasons. We recommend testing your home regardless of location. Most Memorable Inspection Defects of 2013 Is There Radon in Chesterfield?